Wireless Throughput Testing,XM-RM7W1&WAC-19-Xtramus Technologies Co. Ltd.
XM-RM7W1 & WAC-19 is a wireless functional testing suit by Xtramus, supporting IEEE 802.11ac protocol. Xtramus successfully converts the wireless traffic to the experienced wired traffic testing technology. This solution brings benefits to our customers by providing a good way to ensure the quality of their WiFi products. XM-RM7W1 belongs to Xtramus's flexible, reliable and highly accurate XM-RM series. Like other XM-RM series cards,XM-RM7W1 needs to be used on the NuStreams chassis platform, supporting hot plug and multi-user. The Rapid-Matrix technology is able to generate Etherne tpackets with different headers, labels and headers etc. on each port. 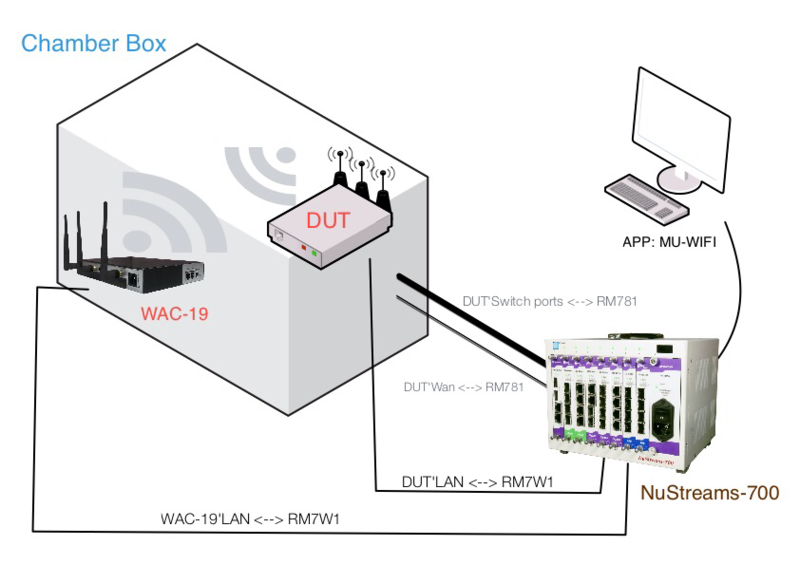 WAC-19is an assisting test router used together with the XM-RM7W1 card, to stably convert the wired traffic to the wireless traffic. WAC-19 is employs MIMO 3*3:3 transmission mode and supports 802.11a/b/g/n/ac. Its maximum transmission rate is 1900Mbps (due to rate limitation, the practically measured maximum band with is 1000Mbps). ● Multiple functional estimates, throughput, packet loss, rate, etc. Increase/Decrease, 8'0 8'1, 16'0 16'1,32'0 32'1, 64'0, 64'1, Random.